Known as one of the top influencers in music and entertainment, Kenny Burns has worked tirelessly behind the scenes to make key connections and business deals within the industry. As a former music executive who worked at Mariah Carey’s Monarch Music and later Roc-A-Fella Records, Burns is responsible for helping to promote Monica’s debut album Miss Thang and is the brainchild behind the late 90s and early 2000s girl group Dream. 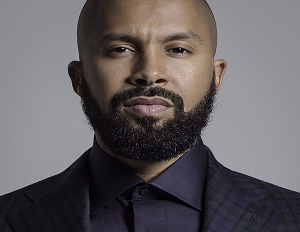 In 2004, he teamed up with friends Derek Dudley and Ryan Glover to launch the upscale men’s clothing line Ryan Kenny, which landed them in Black Enterprise’s February 2005 issue for the 75 Most Powerful Blacks in Corporate America. That following year, Burns founded the boutique label, Studio 43, and landed rapper Wale as his first signing, which brought national attention to his hometown of Washington, D.C. Using the party scene in Atlanta as his backdrop and entry into the cut throat business of music, BlackEnterprise.com caught up with Burns, who now serves as SVP of Brand Development at Combs Enterprises, to get insights on his career journey, how he established his relationship with Diddy and how he balances life as both a businessman and family man. BlackEnterprise.com: How did you get your start in the music business? Burns: I was a party promoter in Atlanta and I would have these tremendous parties and it was recognized by a guy name Claude Austin and David Gates. Claude Austin was Dallas Austin’s brother and Dave Gates was a senior level executive and they were coming out with an artist by the name of Monica. They wanted me to apply my kind of street team promotions game to the record business. It worked out and she ended up going gold on her single rather quickly and then ended up selling a couple million records with her debut album Miss Thang. So that was my entry into the music business. Did you always have an idea that you eventually wanted to work in music? No, I was just a passionate young guy trying to figure it out. I was in the party circuit and knew people with my connections and I had a certain gift of dealing with people. So, I just kind of followed my gut. You’re often referred to as the “Lifestyle Specialist,â€ where did that name come from? I started in party promotions, eventually got into the music business,Â and then I always had a unique eye for fashion. What I wore people adhered to and I took my chances in the fashion game. But then it became that people were listening to what I had to say as it adheres to lifestyle in general. At the time, I was at Roc-A-Fella Records and a friend of mine had Axe body spray as a client and they wanted to do some things with Roc-A-Fella. So I used him to do [Jay Z’s] The Black Album release viewing party and then they were asking me for other things they can do. So we did Ciara’s first video where she was roller skating and the guy sprayed himself on the porch with the Axe spray. So I started making my way into the marketing field and then I was being introduced into all of these meetings as this lifestyle expert. At the time boutique marketing agencies were starting to take over because the bigger agencies had been there for so long, but they needed connections and they needed people to get them to the clients, so I became a conduit for that. Instead of being an agency, I was an individual and I needed a name that was bigger than lifestyle expert. To me, I’m not an expert. I’m still growing. I’m still learning. I’m still living. So one day we were in Heineken and we were pitching to [them] and they said “Should we continue using lifestyle expert? And I said “No, use lifestyle specialist.â€ What they want is someone who has a relationship with these celebrities and the access to clubs in their needed markets so the lifestyle specialist was born.